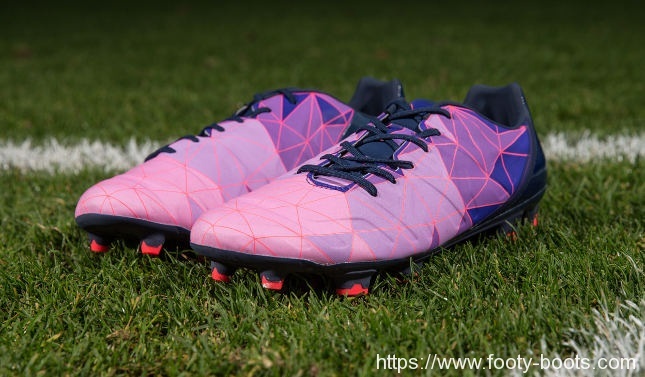 PUMA are preceding another big release with a limited edition ‘Camo’ version, as the latest generation of evoPOWER opens for previews with the PUMA evoPOWER 1.2 Camo. 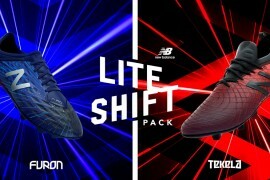 In typical PUMA style, the graphics on this Camo release are not only bold and beautiful, but also designed to make the distinctive features of the boot all-but invisible from afar – meaning PUMA can give us a taste of what’s next for their super-powered football boots, without spoiling too much ahead of release. 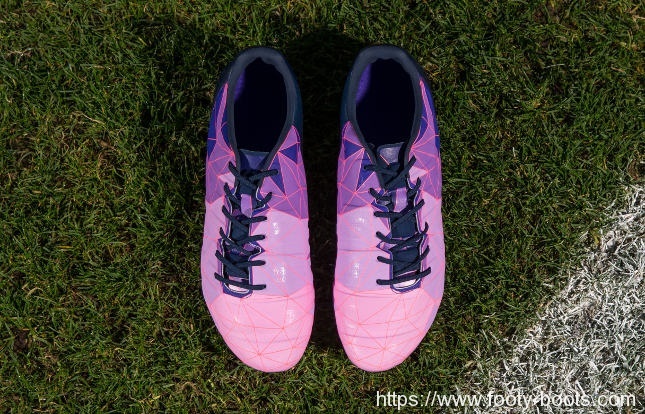 Officially dubbed ‘Peacoat / Bright Plasma’, there’s obviously a lot more going on with the PUMA evoPOWER 1.2 Camo than just those two colours. PUMA say the orange triangular pattern and basic tonal shading are inspired by 3-D optical illusions, and again, help keep those distinctive new features under wraps until the first official colourway launch. 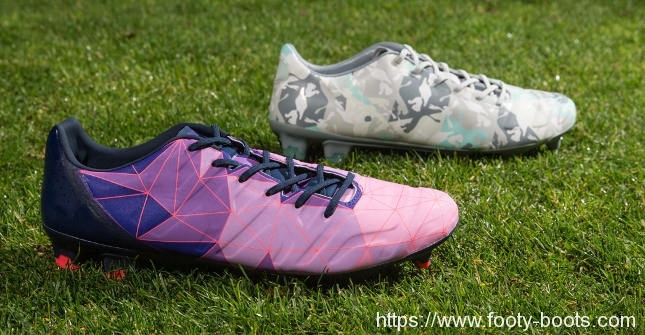 What we can tell – dispite the best efforts of the PUMA evoPOWER 1.2 Camo is that PUMA seem to have deployed a more comprehensive covering of AccuFoam pods to the upper. Rather than just a single run, the designers at the Big Cat are clearly looking to give a more rounded feel to the boot, with the material laid out in channels to enhance ball contact without interrupting flex and feel. Who will be lacing up the PUMA evoPOWER 1.2 Camo? Well, expect headline players such as Cesc Fabregas, Mario Balotelli and Olivier Giroud to slip into a pair for the next couple of weekends, until the official release of the all new evoPOWER 1.2 on January 22nd. 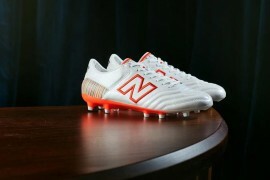 Interested in a pair? You’d better be quick: just 580 pairs of the PUMA evoPOWER 1.2 Camo are on sale – and they’re available right now.